Haha, was it as good as the tv? 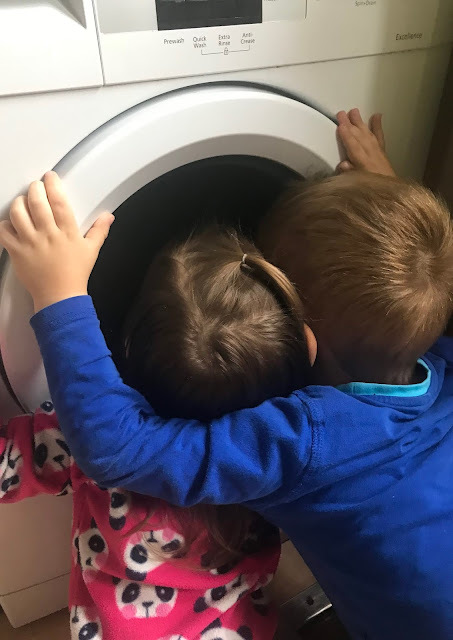 lovely photo - was something they wanted in the washer? Ohh! I am guessing there is something in the washer that they wanted. My girls used to sit like that when their soft toys were in there.